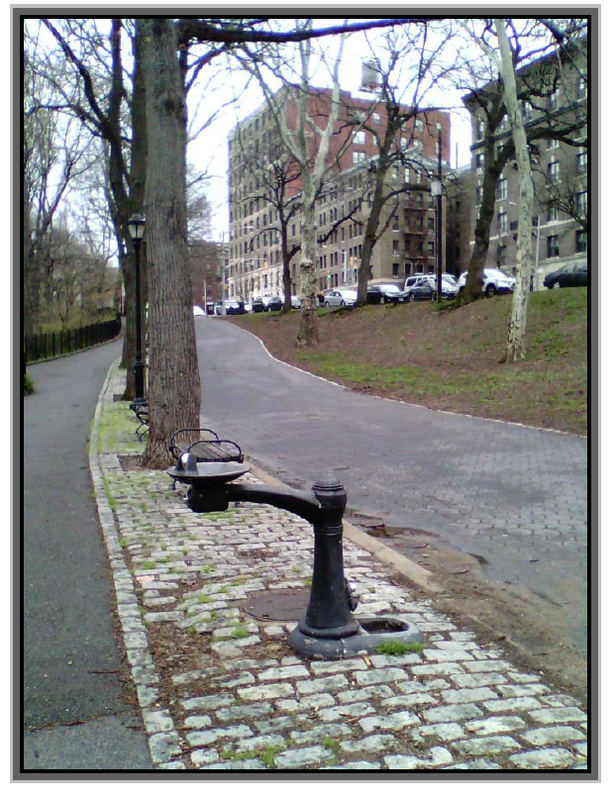 The picture above is a view of the Riverside Drive’s Park between West 144th Street and West 142nd Street. The strip park run along Riverside Drive and follows the Hudson River. Parts of the drive mingle with the West Side Highway and so the park overlooks the highway or 12th Avenue. Other parts of the park disappear and reappear further uptown and end somewhere in Inwood. The park still has uniquely antique elements. Note the water fountain, the cobblestone made of bricks, and the old-fashioned street lamps that work. What’s most interesting to me is the way one main road separates into two paths. It reminds me of Robert Frost’s The Road Not Taken. For the past six months, my niece and I have grown particularly close. One reason is that my sister, who was also her mother, died six months ago. I’ve always considered my niece like a daughter and so this was a natural progression of things. Another reason we’ve grown close, I’ve been giving her some advice about jobs. Lately, my suggestions have been geared towards her new promotion. A little more than a year ago, she took a job as an entry level employee with a firm that subcontracts with the government. She impressed her bosses enough that they offered a one step up promotion if she stayed in the same office. If she was willing to move to another state, she could take the one step up promotion right away, and then in a month or so, she’d rise to the level of office manager. She wasn’t sure she could do the office manager job. Of course, I told her I knew she could. I offered to walk her through some of the things she’d need to know about supervision and human nature. We started talking about how to run an office full of folks. I started relaying what I’d learned over 25 years of being a front-line supervisor, then moving up to become a director of a program. One of the first things I mentioned was the broad leap a person makes from being a lower level employee to becoming a supervisor. It’s a more difficult move than moving from one supervisory position to another, higher-level supervisory position. The thought behind statement. Once a person learns the tricks, trials, and tribulations of how to supervise, it doesn’t matter who. Supervision is supervision. I suggested she spend that month as a new, lower-level employee, observing the folks she’d be supervising. I suggested she learn who the unofficial person is that runs the office. While organizational charts show how an office is officially set up, that rarely is how an office works. I told my niece to find out who’s the person that most of the folks listen to and will follow. Is that person somebody who could help her run the office or is that person somebody she’d want to transfer? Find out who wanted her job before she was promoted into it. It’s always good to size up the competition and see how much damage or help they would be for her. I suggested she be easy with herself. Whatever she didn’t learn today, she would tomorrow or the next day. Learning great lessons doesn’t have a timeframe. The other thing I mentioned was how I always learned more from my failures than my successes. I told my niece she should be prepared to spend approximately 90% of her time with 1% of her employees. That “one percent” represented the truly bad employee that she can’t fire. She can’t fire said employee because he or she has upper-level connections. That usually means that “one percent” employee has a relative or a mentor in upper management protecting them. She also can’t transfer that “one percent” employee because the employee’s bad or poor reputation for work or starting trouble proceeds them. There is no place to transfer them to because no other department wants to work with them. I told my niece she’d learn how to work with that “one percent” employee or work around them or work through them. Once she learned those lessons, she could take them and run with them. I suggested the “one percent employee” presented in various forms and she’d learned something creative from each one. While the one percent employee tended to be exhausting to supervise, they were never boring. By comparison, I told her, the good employees require very little in the way of supervision. She should be prepared to provide guidance and ego stroking for the other 90% of her workers. At times, the 90% will get annoyed and disappointed that she is spending so much time with the “one percent” employee. Unfortunately, it can’t be helped; unless my niece is exceptionally lucky to never experience that “one percent” employee. If she gets a taste of that “one percent employee,” I believe it will get her creative juices flowing and she’ll use her people skills to resolve the situation. My hope for my niece is not that she takes the right journey, but rather, she enjoys whatever journey she takes. Mostly I enjoyed what I learned about human nature and supervision. What I didn’t enjoy, I set aside knowing one day it might prove useful in another life. Finally, I hope that she keeps the faith in herself and her abilities. The biggest obstacle I had when becoming a supervisor was overcoming my own doubts about my abilities to handle what I’d encounter as a supervisor. CAN WE TALK? LET’S DO LUNCH.